Like many Game of Thrones fans, I am about to embark upon the most epic quest since Daenerys Targaryen swooped over the Wall on a dragon. Okay, maybe it’s nothing quite that dramatic. But I will be re-watching the series in intense, snack-fueled binge sessions to ensure the core elements of the narrative are imprinted in my mind come April 15. Of course, we are talking about a long – long – complicated series, with storylines of biblical proportions crashing into each other and subsiding like bloody tidal waves. So many loved and hated characters have met sticky ends that to watch every single moment again might feel akin to stuffing yourself with an entire Lamprey pie washed down with a flagon of Dornish red. 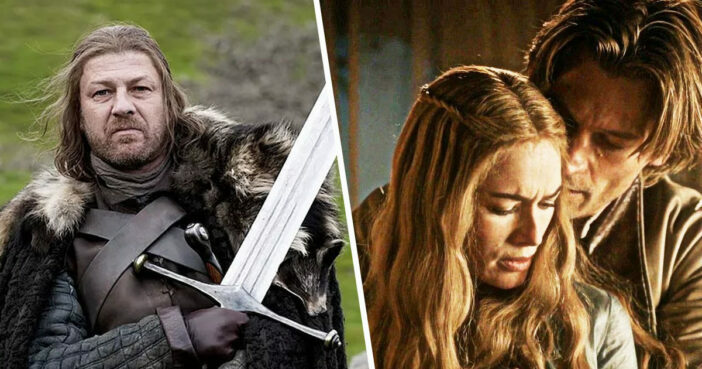 Fortunately, there is a way to catch up with the twists, turns and Targaryens in digestible bites, with Game of Thrones co-executive producer and writer Bryan Cogman offering up his personal favourite – read narratively important – episodes to give a second looksy at. Writing in Entertainment Weekly, Cogman detailed no less than 21 of his favourite episodes. Let’s start the rewatch with a double feature, shall we? Taken together, these two episodes serve as a mega-pilot as so much of Episode 1 is devoted to simply meeting the various characters and understanding the world of the show. Episode 2 really makes you care. I remember watching a rough cut of the opening sequence (in which Jon bids farewell to his family and heads for the Wall) on my laptop in Belfast and thinking: This works! We have a show! Oh, and Ep 2 is the one where Tyrion slaps Joffrey (not for the last time). I’m particularly proud of the sequence where Tyrion plays the various council members against each other and roots out a spy. And I love Alik’s homage to Akira Kurosawa with the flapping banners during Theon’s baptism scene. Plus, I got to introduce Brienne! Other notable episodes given a shout out from Cogman include season two, episode nine (the incredibly tense Blackwater) and – if you are feeling emotionally prepared – season three, episode nine (The Raines of Castamere aka The Red Wedding). My watch has begun. Now which one to start with?